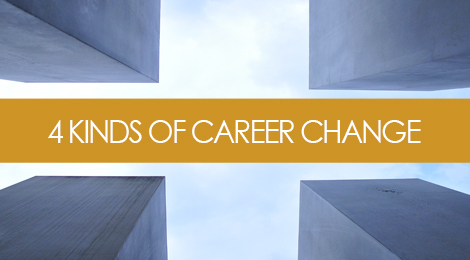 Professionals in career transition make up a significant portion of my clients, and they range from those making lateral moves within their industry, to those looking to do a complete professional overhaul. Today’s job market has opened up more of a dialogue around career dissatisfaction, and the integration of personal values and interests into our working lives. Additionally, an improved job market, a changing workforce that values culture more than ever, and the integration of more flexible work arrangements has prompted people to question their career fulfillment and seek out new ways to leverage their value and talents. And while everyone’s situation is different, I continue to see a number of consistent threads in terms of what today’s entry, mid, and senior-level professionals are looking for, and the type of career platform they’re seeking to create for themselves. People who fall into this category are generally those interested in remaining within their current industries, but with a new focus. They might be targeting an internal transition where they can utilize and build upon their skills in a new department or division within their organization, or to achieve a similar goal within a different employer in their same industry sector. Hard skills will speak loudly here in terms of having prior industry experience and transferrable skill sets. This group is the most heavily represented among my client base, and often pertains to those looking to reposition transferrable skills from one industry to another. Skills like management, project leadership, sales and business development, or client relations are typically areas that translate well into different fields and have application to a number of very different types of jobs. The challenge often lies in clearly communicating what those transferrable skills are, and how they make someone just as marketable as a candidate who has the exact industry experience. The key here is about addressing the transition head-on, and convincing employers that they will be able to jump in, come up to speed quickly, and produce the same kinds of results and success that they had in their previous roles/industry. Hard skills and soft skills are both important in this scenario. Many freelancers and entrepreneurs face the challenge of integrating themselves back into the workforce following an extended period of self-employment. Their biggest concerns often revolve around the fear that their skills won’t appear relevant to an employer, and they’re often unclear on how to position a very broad and diverse entrepreneurial skill set to fit a more specific focus. This also applies to individuals looking to get back into the game after a period of leave or unemployment. Similar challenges arise in terms of proving to employers that their skills are relevant and up to par, but often it can be a challenge from a confidence perspective when faced with marketing their value against competing candidates whose careers have been more linear. While transferrable and relative skills are important here, it’s also critical to look at the unique skill set one gains from being in an entrepreneurial setting, and how those can add additional benefit to the role at hand. Finally, there are those looking to make a complete career transition and perhaps pursue a field where they have little to no previous experience, but more of a personal interest that drives their decision. Perhaps they always had a passion for a particular topic, or dabbled in continuing education, but never had a chance to pursue it professionally. This is one of the most challenging transitions to make because it involves showing employers tangible value and marketable skills sets without relying on any hard proof of previous success. So if you don’t have experience, and perhaps even the necessary transferrable skills, how can you address the higher level ideas that you’re capable of making such a transition, coming up to speed quickly, adapting to change, and fitting in with the culture? What else can you bring to the table that would make you an asset to the organization, on perhaps a personal level? This is where soft skills will speak loudly. It’s important to note that there is no one-size formula for executing a successful career change at any level, nor is there a set strategy for how you structure your resume. Moving into a new role, industry, or area of focus always puts a concern in the minds of hiring managers as to whether it will be a smooth transition that pays off for the organization, as well as whether the candidate will prove successful and be happy in the role. You want to make sure you are addressing this concern by honing in on the most marketable aspects you bring to the table, but also making sure you are clearly communicating the value and strengths you bring, and not leaving your reader to connect the dots. That’s the surest way to get your resume overlooked – after all, they have enough work to do. Tags: career, hr, personal branding, resumes, transition. Bookmark the permalink.